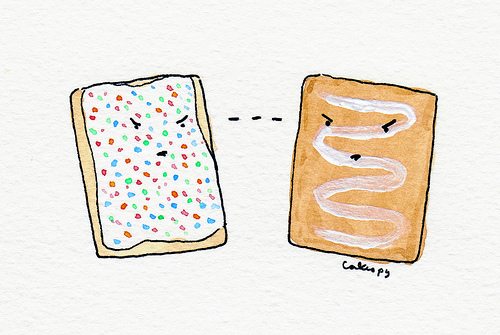 Oh, Pop Tarts. No matter what the makers of Toaster Strudel may say, I'd never hoard you uneaten in my locker. 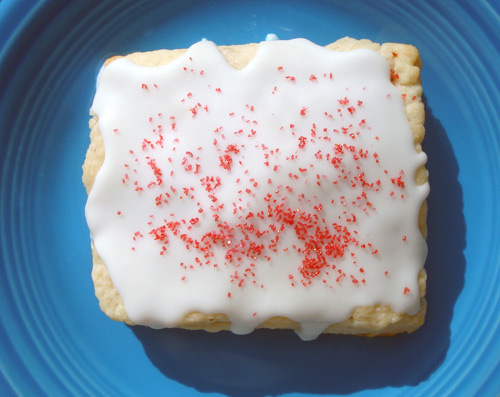 After having made a batch of Avatar-inspired pop tarts for my most recent Serious Eats post, from which I adapted a recipe for homemade pop tarts on Culinary Concoctions by Peabody, I was naturally also tempted to make a batch in the more traditional pop tart format. The sky's the limit with these babies--you could fill them with jam and top them with a thin icing with sprinkles for the traditional look and feel of the pop tart--or you could go straight for the fatty jugular as I did with half my batch, filling them with decadent dark chocolate and topping them with peanut butter icing (photo to come). You're welcome. While the tarts cool, prepare your icing; make sure it is fairly thin but not so thin that it will just drip off. 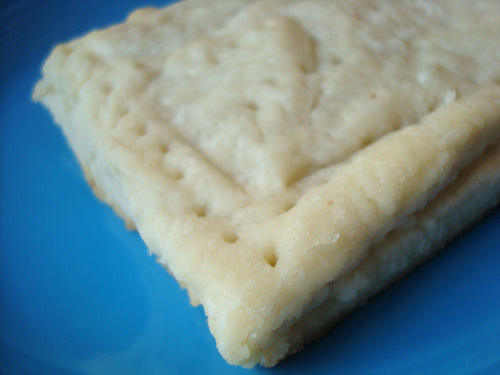 Once the pop tarts are cool, drizzle it on top. Garnish with sprinkles.